Cloud services are not the right answer for all small businesses, says business coach and author Manuel Palachuk. Palachuk will present alternative strategies and options at the Small Biz Thoughts seminar “Life After SBS: Making Order Out of Chaos,” to be held October 11th in Las Vegas, NV. Microsoft is trying to push people to The Cloud. And The Cloud might be the right choice for many businesses. But it’s definitely not right for everyone. 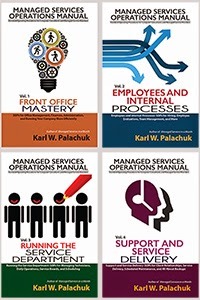 The seminar is presented by Small Biz Thoughts and includes presentations by Manuel Palachuk fromConceptual Age Consulting and his brother and co-author Karl Palachuk. The brothers are authors of The Network Migration Workbook, now in its second edition. Their all-day presentation will address technical options for small businesses after Microsoft discontinues the Small Business Server product line next year. Palachuk points out that there are concerns over Internet outages, Cloud service outages, bandwidth, and regulatory issues. Many countries restrict the movement of data outside their borders, which makes moving to cloud-based storage difficult. In addition, many industries have strict requirements for security and the “chain of custody” for data. The October 11th seminar will cover strategies for moving off of the Small Business Server platform. In some cases that will be to cloud-based alternatives. In other cases it will be to alternative technologies on site. The Palachuk brothers are well known for designing and promoting strategies to move from one computing system to another while maintaining “zero downtime” on all critical systems. Processes like this are not unusual in large enterprises, but they can be extremely expensive. The Network Migration Workbook demonstrates successful techniques for achieving zero downtime in small business environments at no additional cost. Manuel Palachuk is the founder and principal of Conceptual Age Consulting, a coaching and consulting company serving individuals, teams, and organizations with only one goal in mind: to take I.T. Professionals to the next level! They primarily work with IT Consultants, MSPs, VARs and other Technology Service Providers. 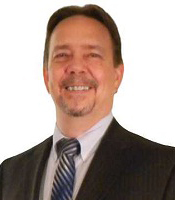 Palachuk has over 25 years of business, management and training experience in the computer and electronics industries. For more information, see http://www.conceptualageconsulting.net. 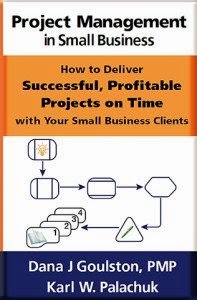 Small Biz Thoughts is the training and content division of Great Little Book Publishing Co., Inc. Their programs are geared specifically for the Managed Service Provider and SMB Consultant communities. Their focus on future trends has helped them to build a reputation as a trusted advisor to fans and friends around the world. For more information, visit http://www.smallbizthoughts.com. For more information on the seminar “Life After SBS: Making Order Out of Chaos,” visit http://www.smbpreday.com. Level Platforms Wins the ASCII Cup!